Dear friends, receive our warmest greetings. 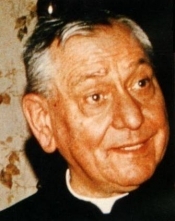 We thank and remember with fondness the life of our beloved founder Father François, on the 33rd anniversary of his farewell. "I will be happy to leave this world with the certainty of leaving behind me a Fraternity, a movement of evangelization." In the EMJI we will gather hundreds of young people from the various original peoples of the world to reflect and celebrate our faith in Christ from the thousand-year-old richness of our cultures. It will be an opportunity to respond to the invitation of Pope Francis to youth to be grateful for the history of our peoples and courageous in the face of the challenges that surround us to move forward full of hope in the construction of another possible world. New document in the downloads section. We have published the new Letter to Nations nº 22 of 2017. You can download it in the "Documentation" section. We are today in the city of Segovia. This year with the joy of being one of us in this brother’s meeting, we have our sister Marie Wang, the presence of the brothers and sisters from Asians countries. We will share in these days, the life which is forging with hopes, questions, difficulties, always with the strong encouragement that comes from the friendly and faithful word, that invite us to wake up and walk. We will pray from our lives and from the sharing action, which is dialogue, listen, dedication and reception, we will all be enriched by humanity. We will laugh and sing. The joy is with us and we transmit it. It is also a resurrection experience. A big hug for each of you from this city where brothers and sisters shelter an treat us very well. 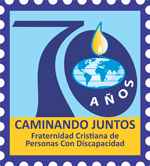 We are grateful and remember the basic equipment of the Fraternity of each country. It is difficult to make a global meeting, doubts, finding financial resources, the number of participants, etc., are not clear until the last moment. Still, the Fraternity (and its members) has demonstrated once again the importance of good progress for personal contact, we feel beside the other, walking together to strengthen our commitment and further revitalize your spirit. All this fed the meeting with the contact face to face. For this they have been required all financial contributions that have generously fraternal conducted; the time spent on the preparations by the committee, the effort to be present ... become fruits of enormous satisfaction. We are called to sow (as P.François says, «without waiting to know the outcome»), yet we are lucky and touches us collect (gather the fruit) as close, fraternal encounter, like Jesus. That's why we are already preparing for the next Committee, possibly to be held in 2018.